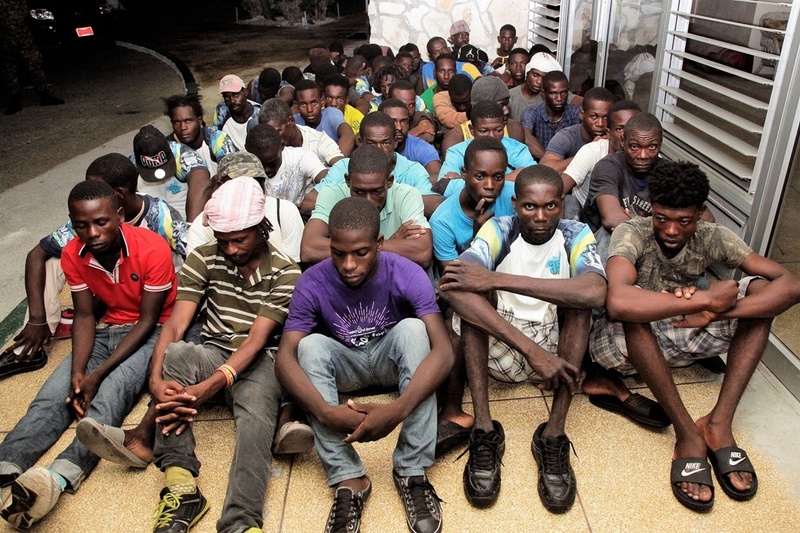 The Haitian migrants seated at the Defence Force Base after they were apprehended at Ragged Island on July 13, 2017. Coral Harbour Base, 15 JUL. ‘17 (RBDF): Just over 60 Haitian migrants were apprehended in the southern Bahamas on Thursday morning during a joint exercise by the Royal Bahamas Defence Force and Immigration authorities. Shortly after 8:30 am, a Haitian sloop arrived offshore at Ragged Island. Defence Force and Immigration officials along with community members engaged in a joint exercise to take into custody the migrants, who were quickly located on the sparsely populated island. The undocumented migrants included 40 men, 10 women, and 14 children. The migrants will be transported to the Capital by a Defence Force patrol craft for further processing by immigration officials.